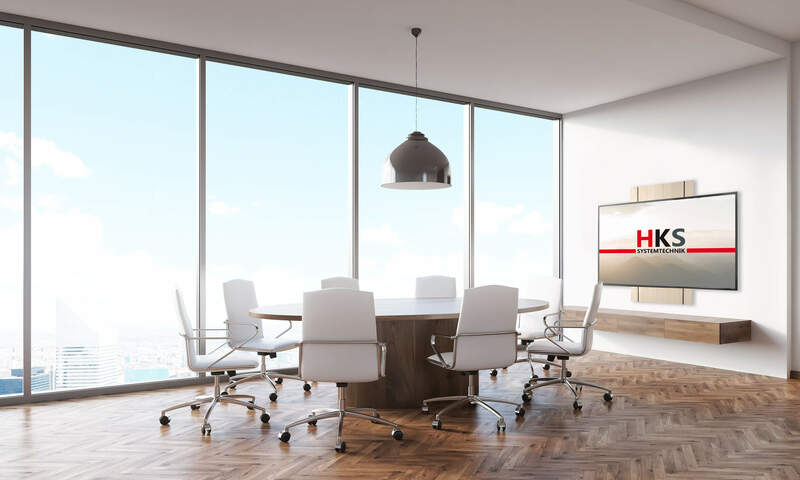 The VST-e is optimal for the furnishing of office and conference rooms. 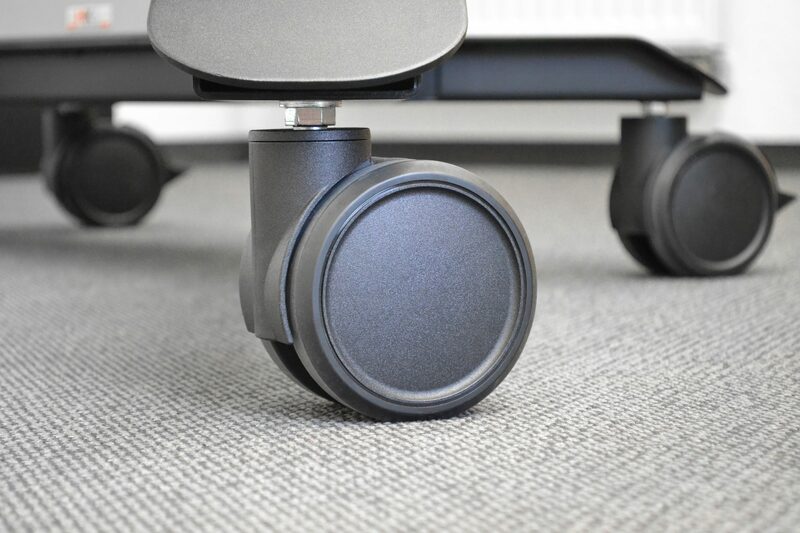 Due to its smoth running castors it can be easliy moved into another room if required. Our standard version includes a loackable computer housing at the back. 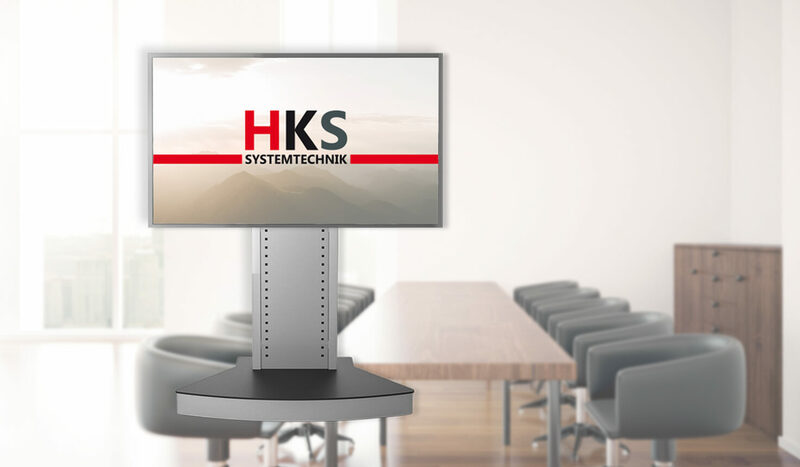 It can be equipped with a display uo tp 86″ or with two displays with max. of 55″. 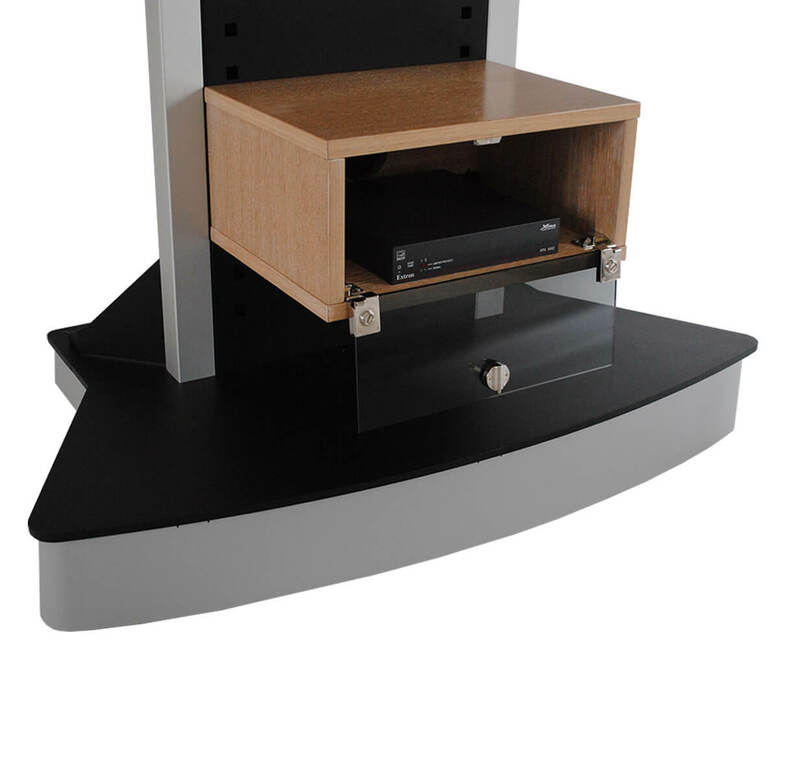 The colour design options allows the VST-e to be integrated into any room. 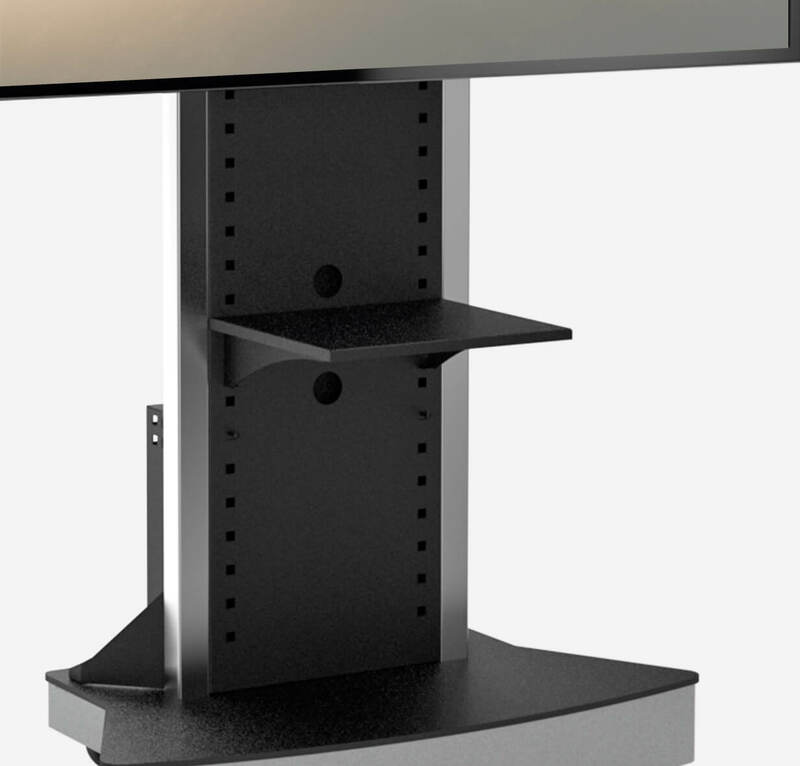 If you want to use the display stand for an already furnished room, you have the possibility to customise the column, the bottom panel and the accessories according to RAL Classic. Please just contact us! In the HKS standard version the column is coated in RAL 9005 Deep Black (fine structure) and the bottom panel in RAL 9007 Grey Aluminium. The side profiles are made of aluminium anodised. 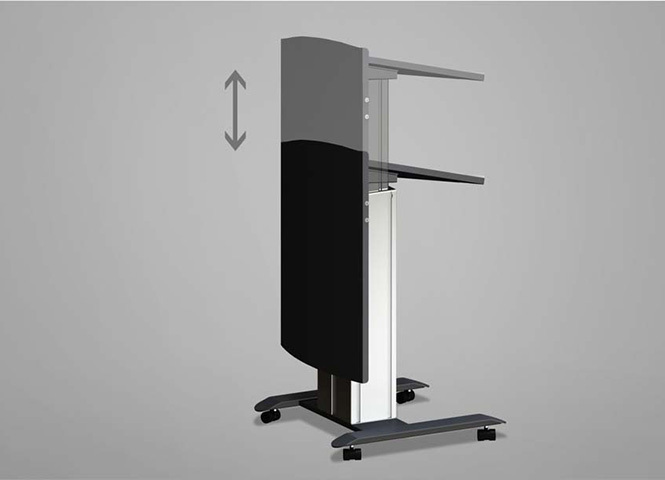 A storage rack allows you to flexibly position your laptop or camera, for example. In addition to the rear computer housing, you can get a lockable wooden device tray for the front. 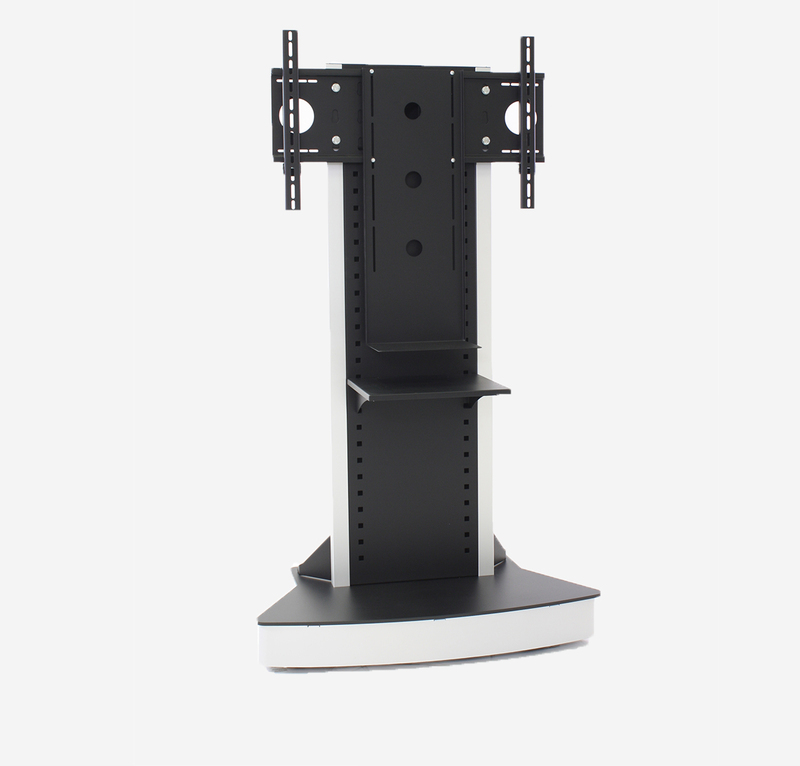 You have an optimum comfort because of the camera shelf. 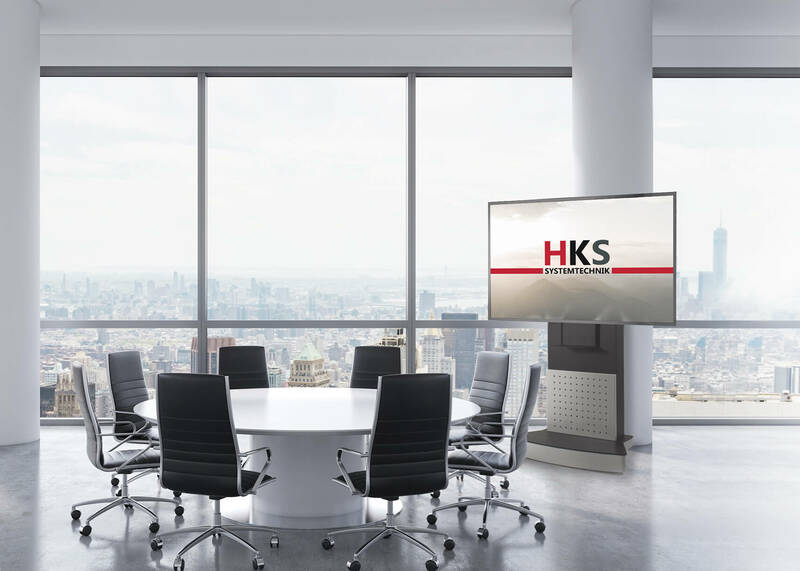 It can be used universally above or below the display, suitable for any situation and room. 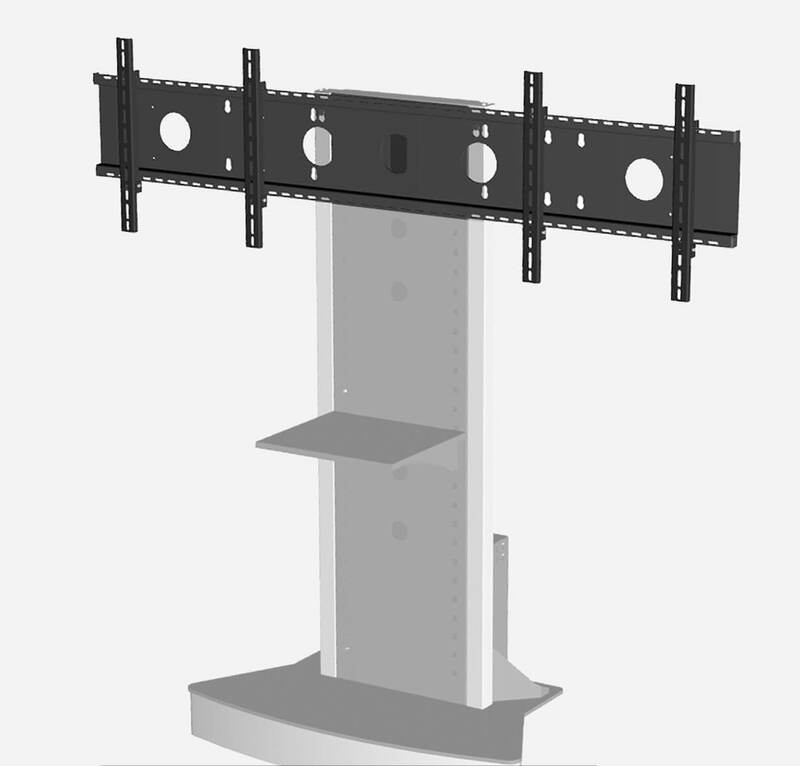 Our VST-e is even suitable for mounting two displays with max. 55“. You can simply order the machting holder. 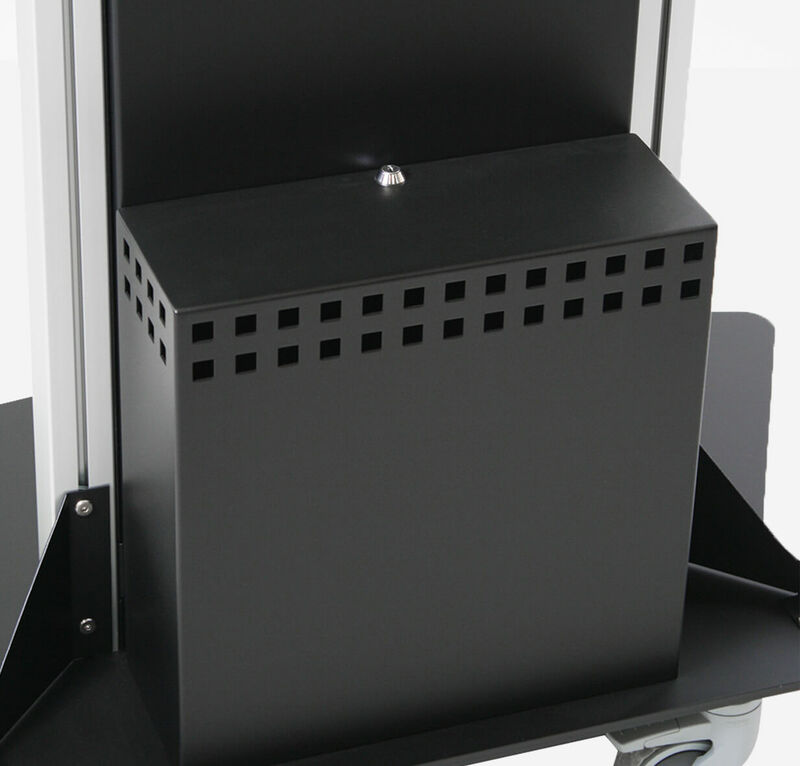 We will be happy to help you choose the right accessories for your VST-e.
Our VST-e is equipped with four easy running castors, two of them are lockable. This means that he is always modile. 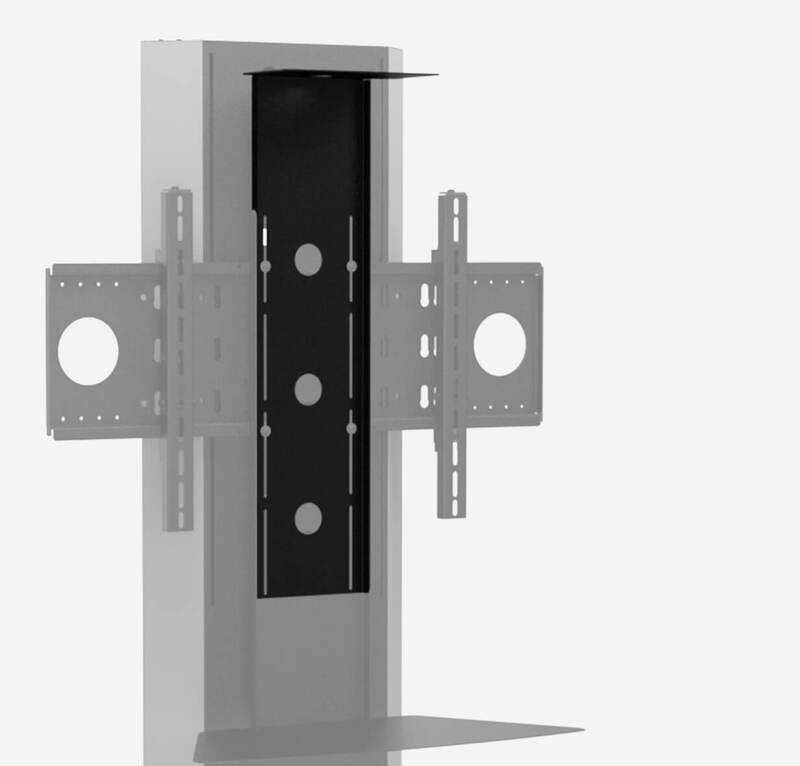 To guarantee you a flawless view the system’s own cable management is carried out within the column. The cable outlets are located in the bottom plate and in the lower part of the detachable rear panel. At the back is a lockable computer housing for additional devides.